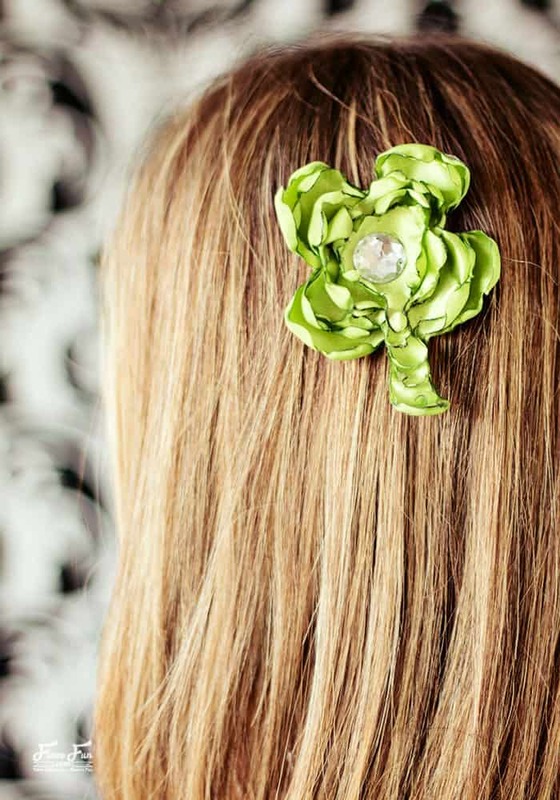 A cute and chic take on a shamrock – and lucky too! 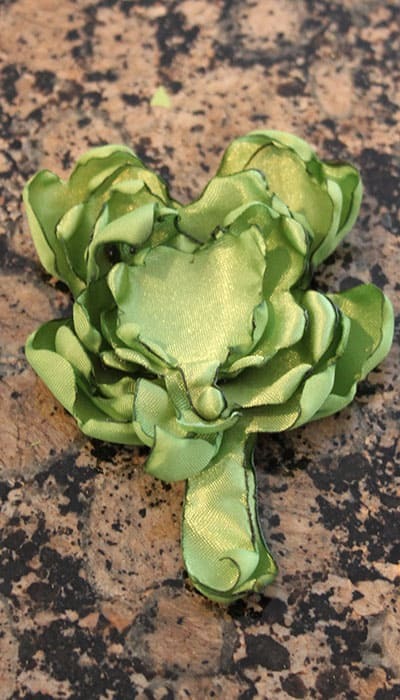 This shamrock hair clip is perfect for St. Patrick’s day. 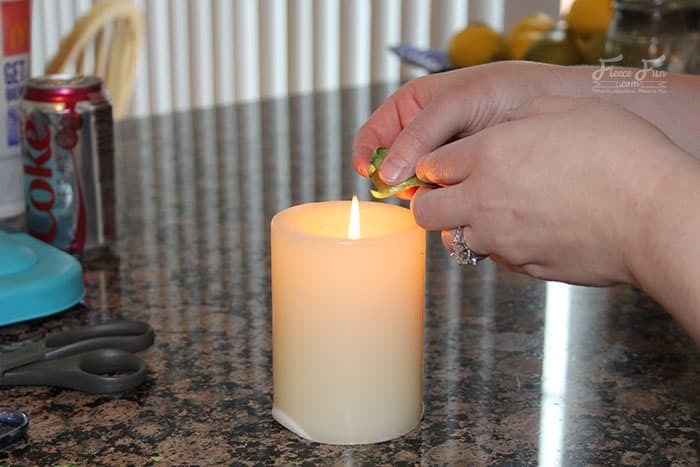 It’s also a nice way to add some green to make sure you are pinch proof! 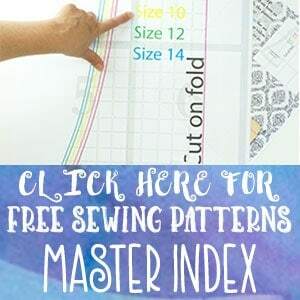 Because you’ll be tracing the pattern pieces printing on cardstock works best. 2 – Begin to cut out. 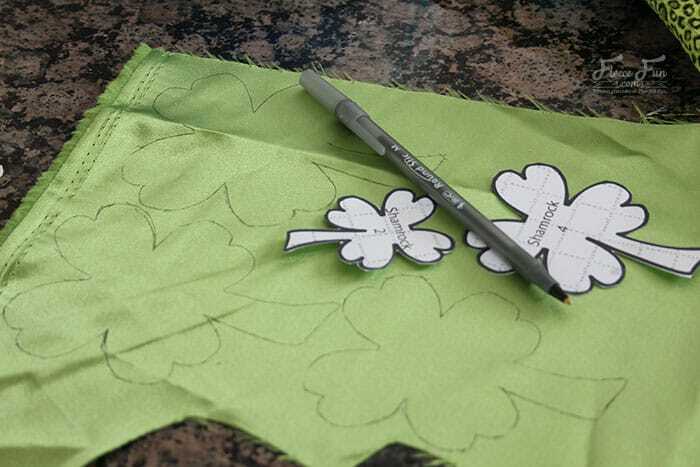 Trace the shamrock or clover pattern pieces onto the satin fabric – there is no need to use a washable marking pen – a regular pen will work nicely. Cut out the shamrock pieces. 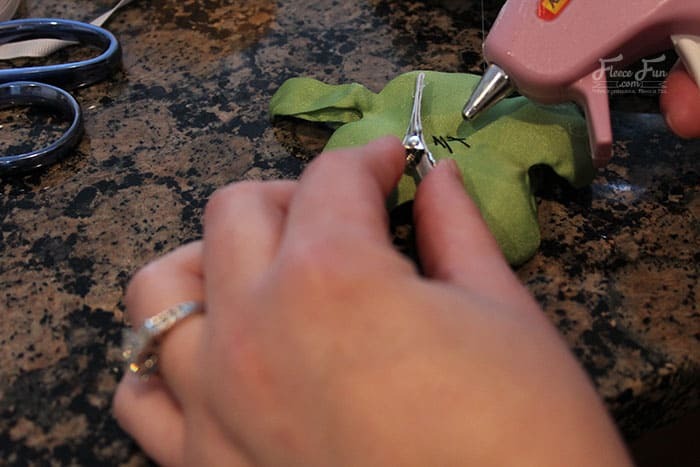 Snip a short slit into the leaves of each piece. Note: if you want a smaller clip, start with a lower number template piece (for example 4), if you want a larger clip use a higher number (like 6). This step should be done by an adult – and cautiously. Light the candle. 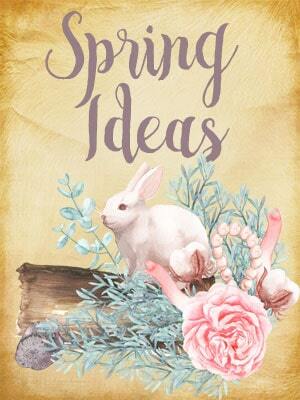 Holding the edges of the shamrock pieces neat the flame – carefully singe the edges taking care not to light the fabric on fire or burn yourself. 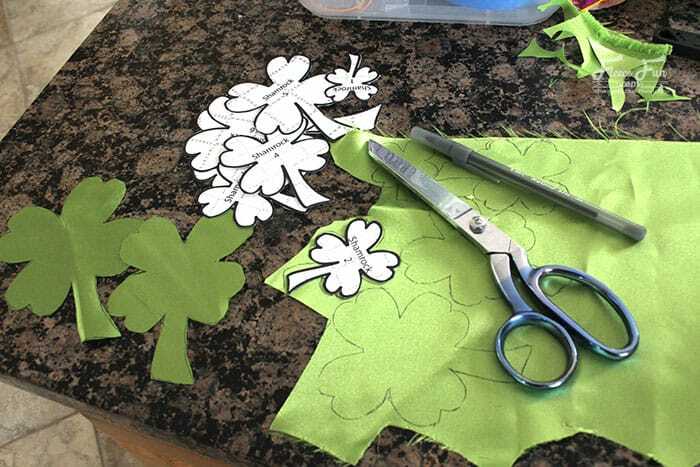 Take your time with this step – you may want to try this on a practice piece before attempting it on your cutout shamrocks. 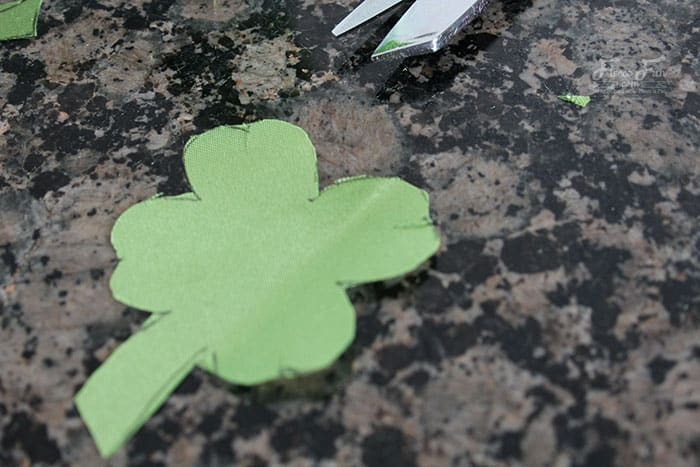 Nest the shamrocks into each other – depending on how you singed the edges you might need to take eliminate one of the pieces to make it fit properly. Now that you have the pieces places how you like them sew a few stitches into the center or you can glue each piece to each other. 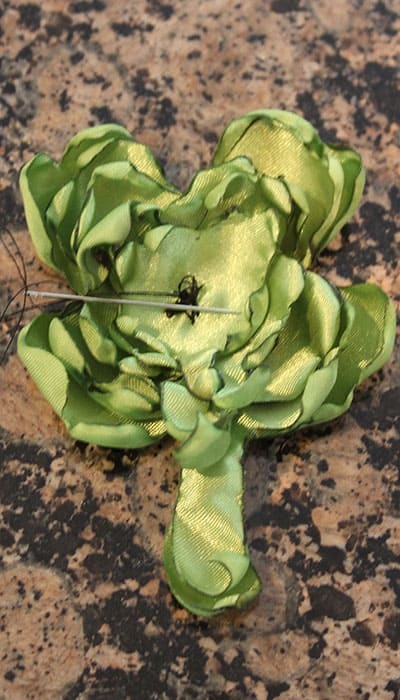 I like to use a combination of both – I sew the center and then glue the stem sections so it lies nicely. 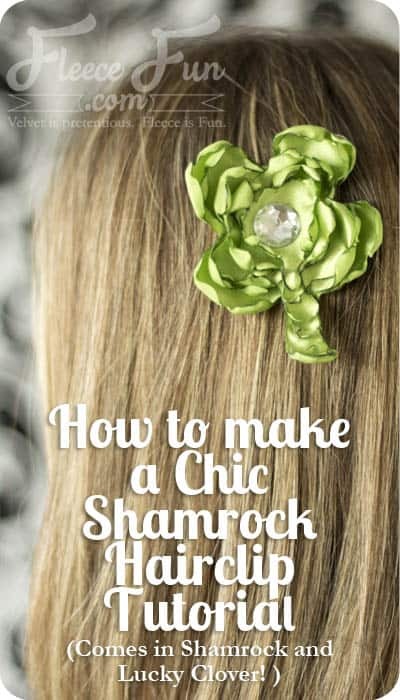 Glue a clip or pin back in to the back of your shamrock hair clip. 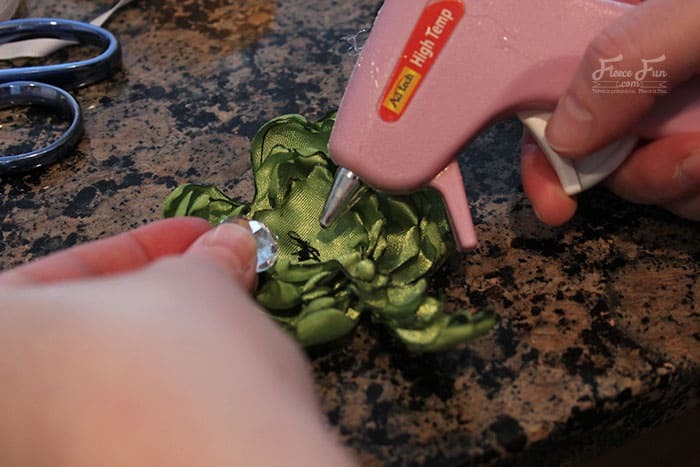 You can cover part or the entire clip with ribbon using the glue gun. 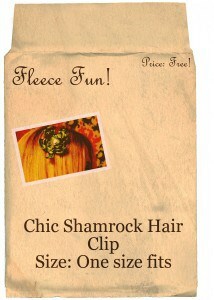 Now you have a chic shamrock hair clip.